Mahakuta Group of Temples near Badami is built around 6th century AD. Know more about Mahakuta Group of Temples built by Chalukya. The Bhutanatha group of temples is a bunch of sandstone temples, dedicated to Lord Shiva. 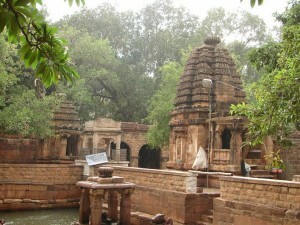 The Bhutanatha group of temples is near the Badami cave temples.